This Accu-Chek Instant S Blood Glucose Meter comes with 10 Test Strip Free to provide you with an accurate blood glucose results. – Intuitive target range indicator provides visual reassurance & can be individualized to suit personal therapy goals. – Only the required parameters including test results and user’s average (7/30/90 days) are visible on the meter. – Test strips available in a 10, 25, 50 vial, giving convenient choice to the user considering the therapy or budget. Memory capacity: The meter automatically stores at least 720 blood glucose results in memory, but only the last blood glucose result and 7, 30, and 90-day averages can be viewed on the meter. To view stored blood glucose results, transfer them to Accu-Chek Connect Online diabetes management. Automatic off: 90 seconds after performing a test, 15 seconds after test strip is removed, or 5 seconds from the last Test Result Screen. Diabetes is a condition in which the body fails to process blood glucose. Nearly 1 million Indians die because of diabetes every year. To Lead a healthy life, it is important to keep a regular check on your vitals and blood sugar levels. So, TabletShablet brings to you Accu-chek, to keep an eye on your blood sugar level at the comfort of your home.Roche Diabetes Care, the manufacturer of Accu-Chek products is one of the leading brands that helps track sugar level and managing diabetes. They are manufacturing self-monitoring devices for type1 and type-2 diabetic patients. They help diabetes patients lead a normal life.High blood sugar level for a prolonged period can cause serious health issues such as heart disease, heart attack, stroke, kidney damage, nerve damage, eye damage, and various skin problems. 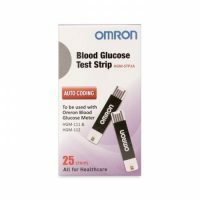 So, it is important to monitor your blood sugar levels regularly.There is a wide range of glucose meter available in the market. But not all of them will provide accurate and fast results. Accu-Chek glucose meters are simple and easy to use. They require only a single drop of blood for glucose measurement. It aims to help people with diabetes to live a normal and active life. It provides diabetic people with innovative, efficient and convenient products to lead a healthy life.An Accu-Chek Glucometer is a medical device used to check the glucose concentration in the blood. Accu-Chek Aviva Strips is easy to set up, provides faster and accurate results that meet internationally recognized standards. Accu Chek Active provides features like easy handling, Easy-to-read display, Easy visual double check to ensure correct measurement.Check out other popular products on our website that are Accu-Chek Performa, Accu-Chek compact plus, Accu-Chek strips, Accu-Chek active strips, etc.